We knew it was as inevitable as a zombie apocalypse, but now it's official..."The Walking Dead" will be back for a sixth season. The fifth season premieres on Sunday, October 12 at 9 p.m. ET and AMC gave us this treat to hold us over. Although we don't know how many episodes will be included, the announcement revealed that executive producer and show runner, Scott Gimple would be in charge of the horde. AMC President Charlie Collier stated, "We could not be more excited for October 12th as we share new episodes of 'The Walking Dead' with fans around the globe. In advance of Sunday's season five premiere, AMC proudly confirms a sixth season order of this extraordinary series. 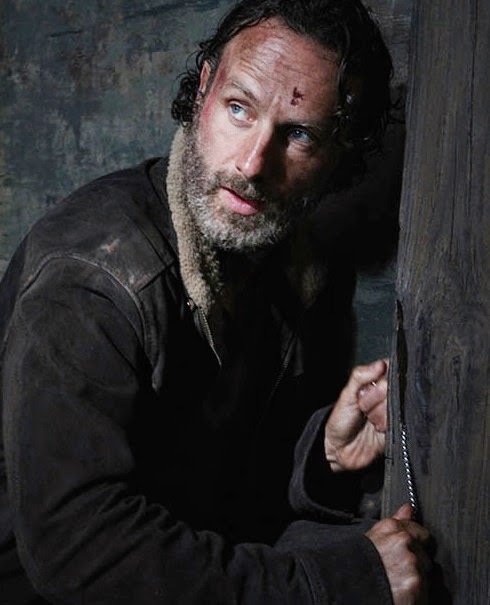 Thank you to Robert Kirkman, Scott Gimple, the terrific executive producers, and the entire team who brings this compelling world and these rich characters to life. There's plenty more Dead ahead thanks to their impressive, collective effort." To put you in the mood for this Sunday, here are the latest videos from AMC featuring U2’s new song “The Troubles" (featuring Lykke Li).